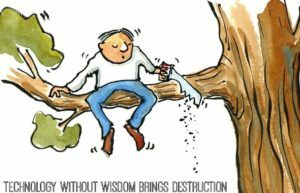 Technology without wisdom brings destruction. Not everyone is tech savvy. Or maybe they know enough about technology to be dangerous, but not enough to be effective. That’s why businesses want to work with us because we, along with our partners, have the wisdom you need.